Day 2 of the fence project. A photo essay. 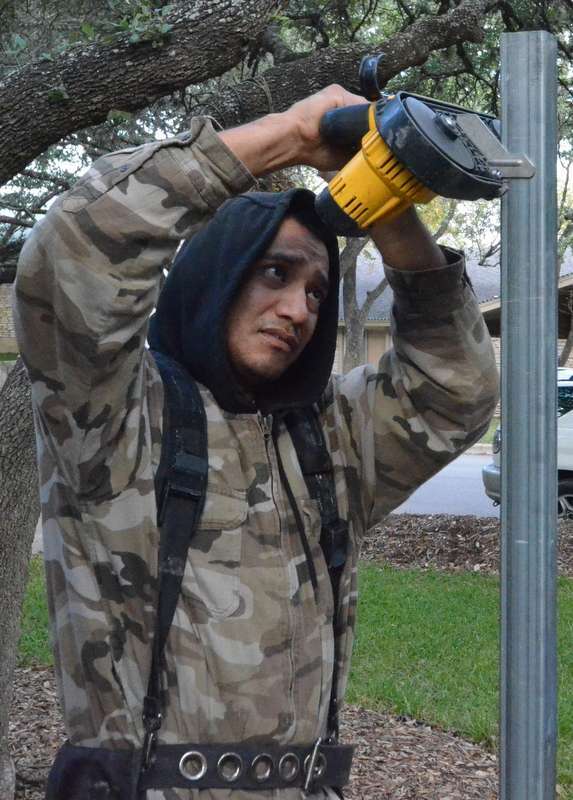 Victor uses a portable band saw to cut to six feet tall one of the galvanized square posts for the fence at the front of the house. 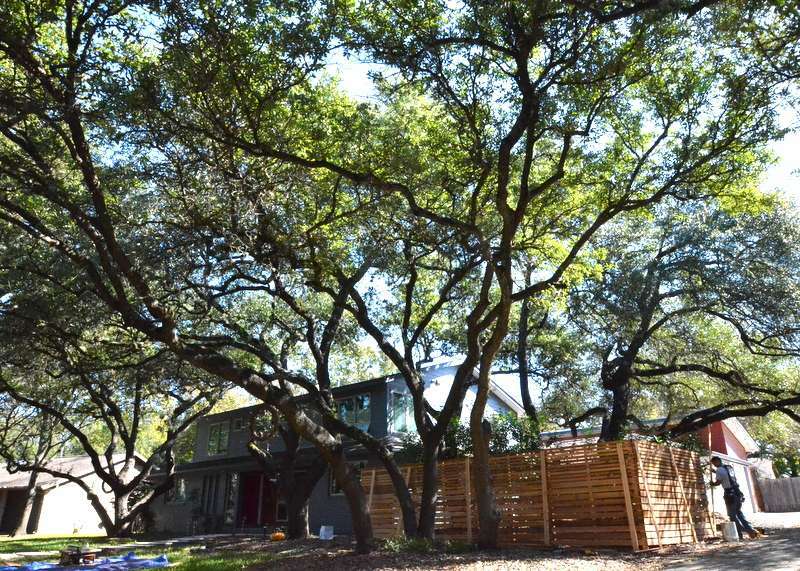 The black-painted posts at the north side of the house were cemented into position late yesterday. 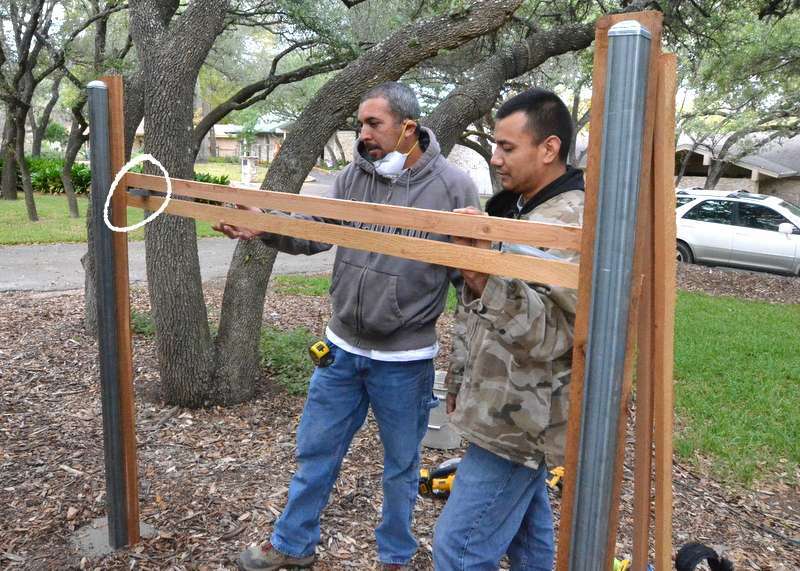 Noe, left, and Victor wanted to know what size air gap to leave when installing the horizontal fence rails. 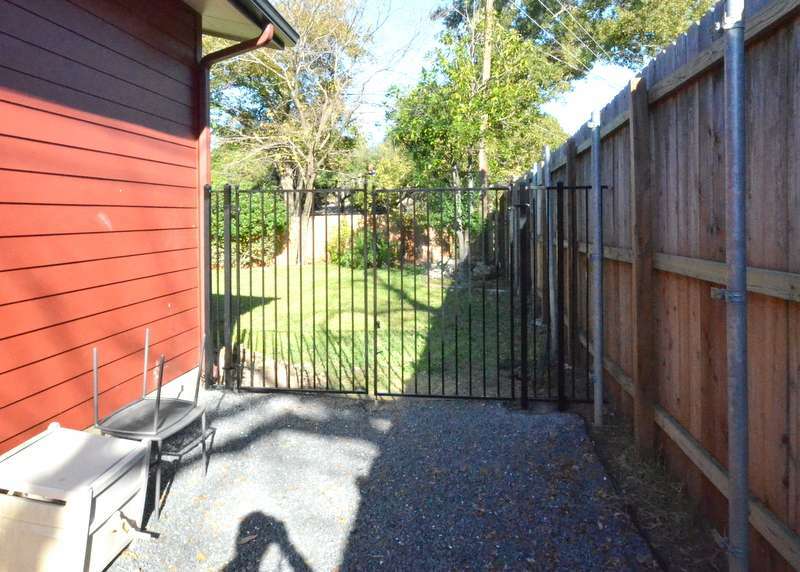 Steven opted for 3/4 of an inch, which happens to be he height of a framing angle laid on its side as a spacer at the left side of the fence — highlighted inside the white circle. 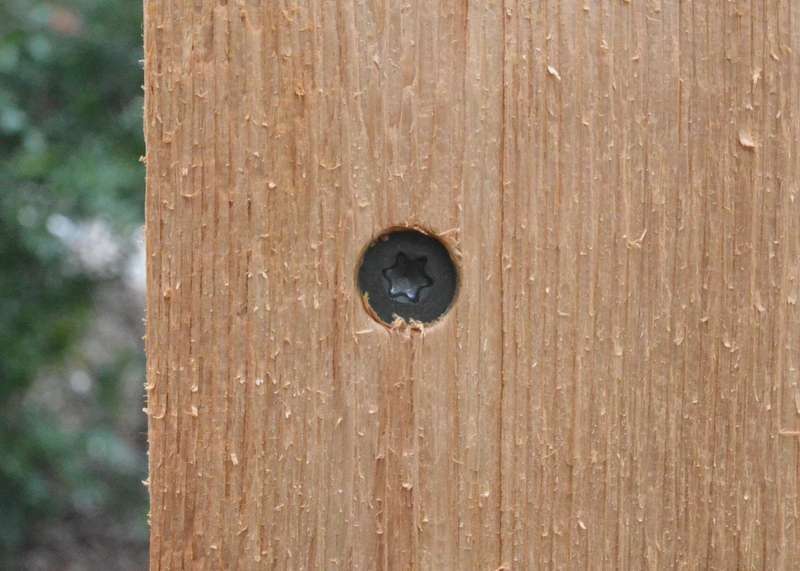 Vertical 2×4 cedar posts get star-shaped screws to affix to the galvanized metal posts that were cemented into place yesterday. 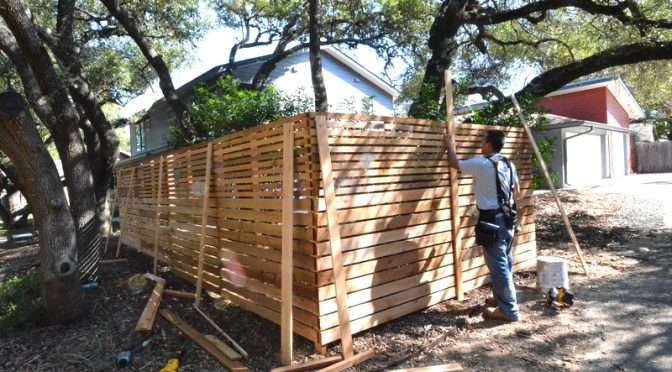 The cedar 2x4s serve as “facing” to the metal, giving Noe and Victor “meat” to attach the rails. 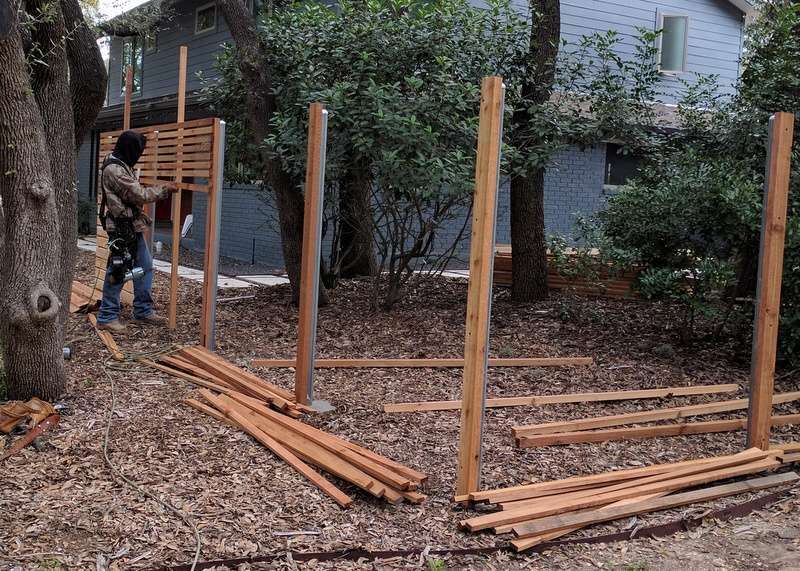 The first section of cedar fencing, nailed up — 1x4s at the bottom, 1x2s at the top, with a 3/4-inch air gap between each rail. 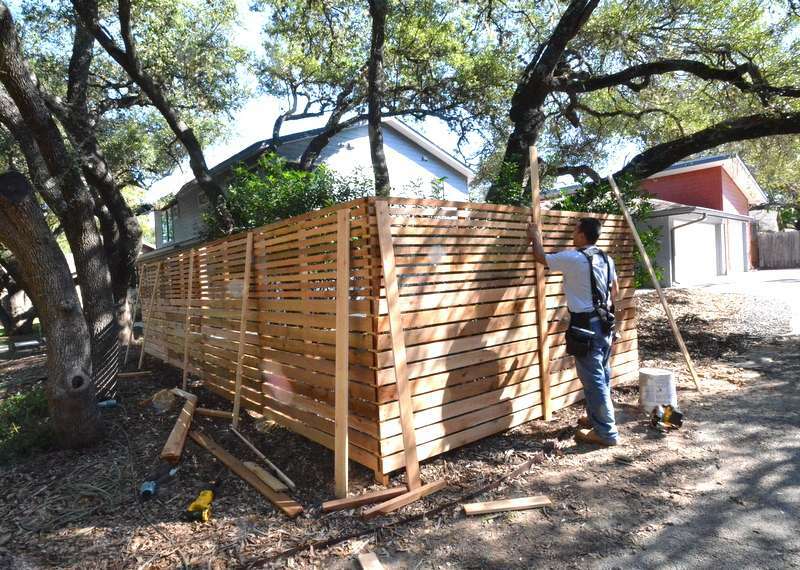 Victor laid out all his rails for each section of fence, and began working his way down the run. Nearly done — using 1x4s to “face over” and hide the gaps between horizontal rails. Just about done. And the sun came out. 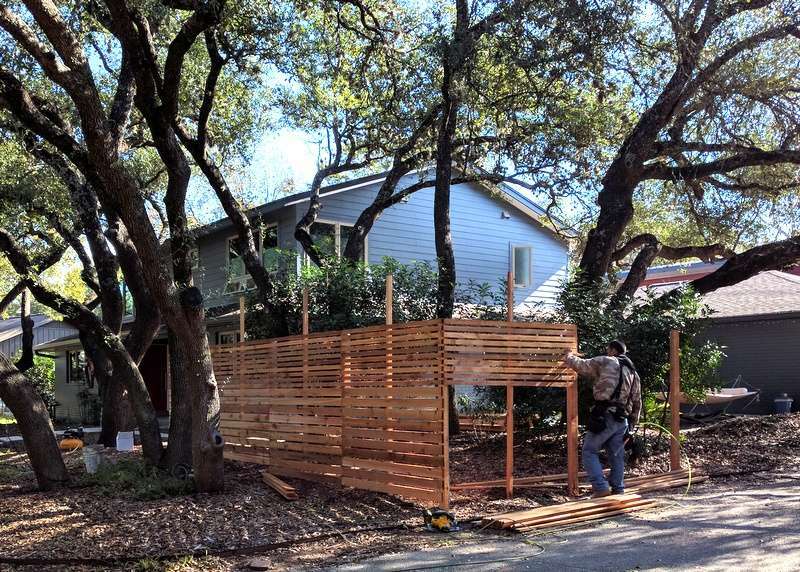 While Victor wrangles cedar in the front yard, Victor is in back cutting, grinding and welding the metal fencing and gates. 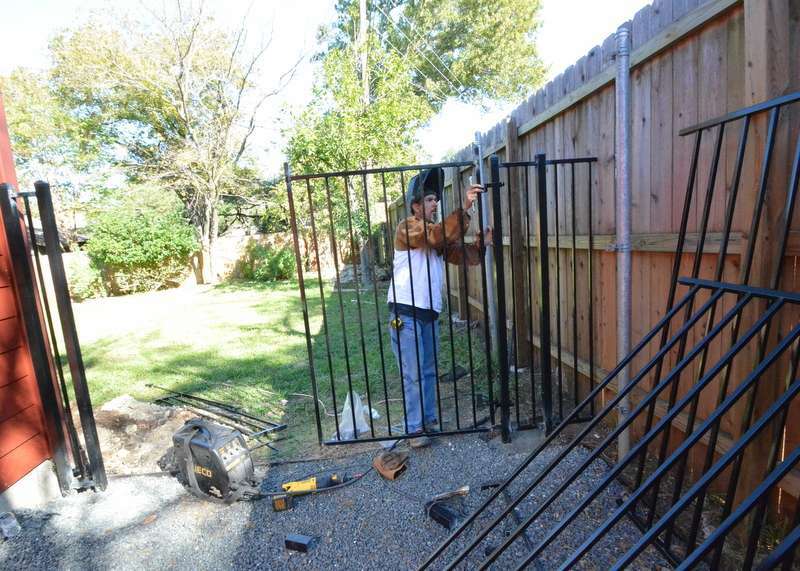 Here, one side panel is already up as he test fits one of the gate panels. 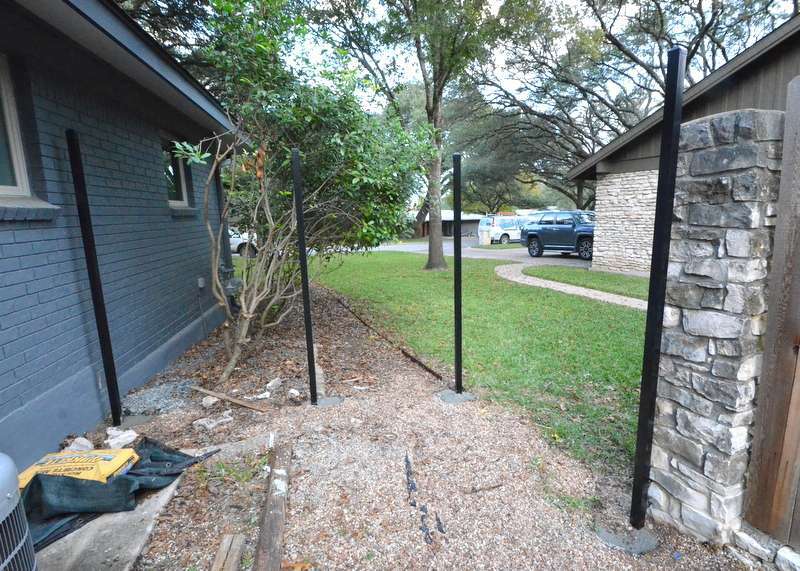 The double gates behind the garage are done. 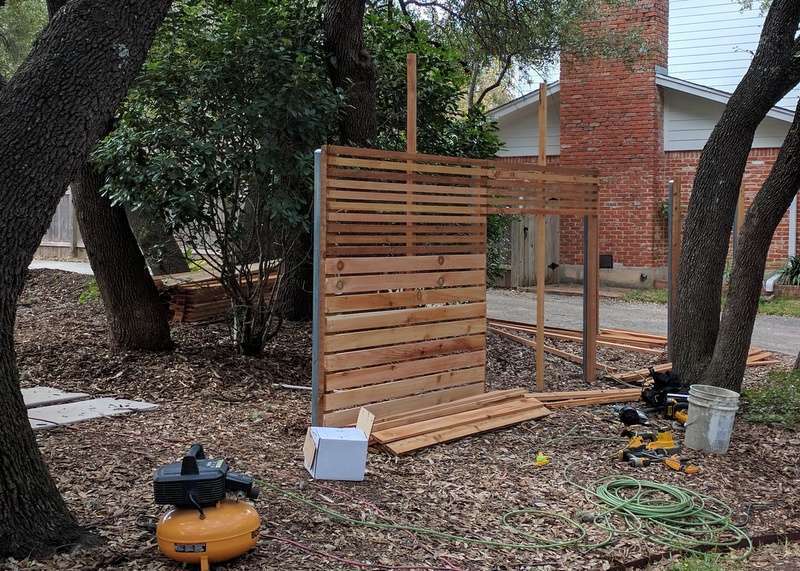 This cuts off the herds of deer in the neighborhood from one entry into the back yard — we hope — and secures the back yard for Adobe to be active dog while fenced in.